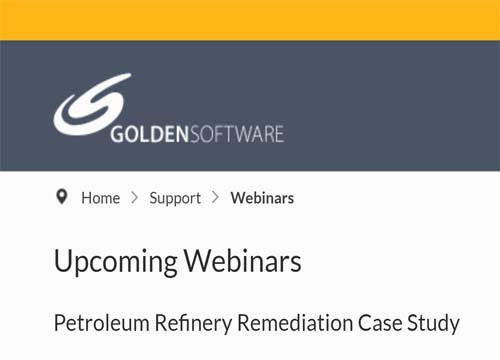 Subsurface Environmental Solutions and Golden Software® to present webinar on October 23, 24 and 25th. Large cone penetrometer test (CPT) and laser induced fluorescence (LIF) data sets from a petroleum refinery are combined with LiDAR, 3D CAD, and groundwater surface mapping using Surfer® and Voxler® software. 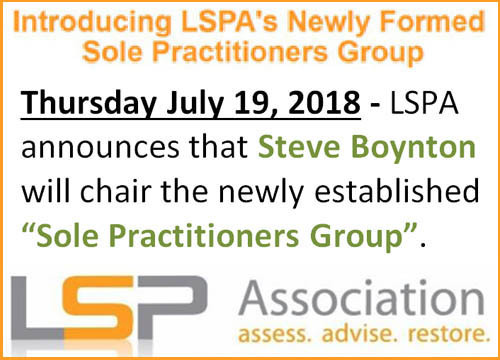 Subsurface Environmental Solutions president chosen by the LSP Association to chair it’s newly established “Sole Practitioners Group”. This group is made up of engineers, scientists, risk assessors and others who work alone or are the only one of their profession (not just LSPs) in their organization. Steve Boynton, President of Subsurface Environmental Solutions, LLC joins Andrew Dudley of Golden Software, Inc. to give a detailed presentation on how to create a 3D visualization of an LNAPL plume using Golden Software’s powerful Surfer and Voxler modeling software. 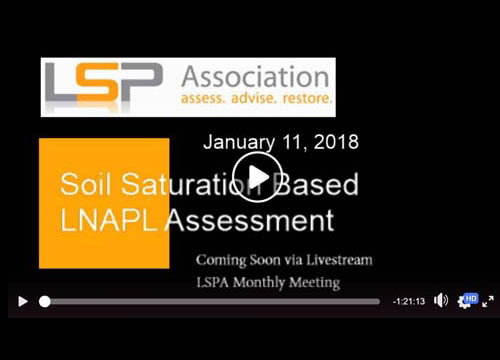 Subsurface Environmental Solutions, LLC president Steve Boynton presented a case study of the Pease Air National Guard JP-8/Jet Fuel release at the January LSP Association (LSPA) monthly meeting. LSPA broadcast its first webcast via facebook. Click to view the presentation.